Forward-looking: Tesla will not be the only major automaker with electric vehicles over the next few years. Big names such as GM and Amazon are already poised to dump boatloads of cash into the development of future electric platforms. In this case, pickup trucks and SUVs are the primary vehicles receiving funding. Tesla is still the household name for electric vehicles, but competition is on the horizon. In the United States, SUVs and pickup trucks are quite popular options, but neither are available at affordable prices with fully electric drive trains. Rivian Automotive is aiming to produce both a pickup truck and SUV and may do so with the help of Amazon and General Motors as investors. Having grown from around 100 employees in 2016 to more than 600 staff members as of today, investors have to at least give Rivian more than a quick glance. Under a potential deal, Amazon and GM would take minority positions in Rivian. GM declined to discuss any hint of a deal being reached but stated, "we admire Rivian's contribution to a future of zero emissions and an all-electric future." 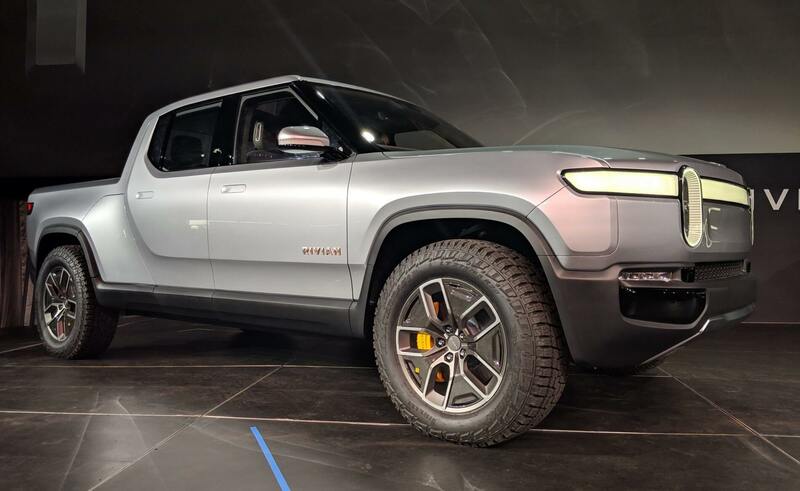 Rivian's goal is to begin selling the R1T pickup truck during the fall of 2020. As a unique feature, all of the drive components, batteries, brakes, cooling, and majority of the suspension system fall below the height of the wheels. A very low center of gravity on a truck creates stability and also has the benefit of offering up more storage space above. Unlike rival automakers, Rivian is not trying to develop its own self-driving technology. Instead, partners will be brought in to help add greater driver assistance features and eventually full autonomy options. GM is not expected to have its own fully electric car until 2022 when a Cadillac model based on the BEV3 platform is released. As far as trucks go, GM does not yet have known plans. CEO Mary Barra admits that a "tiny bit" of thought has gone into electric pickups, but not much beyond that.